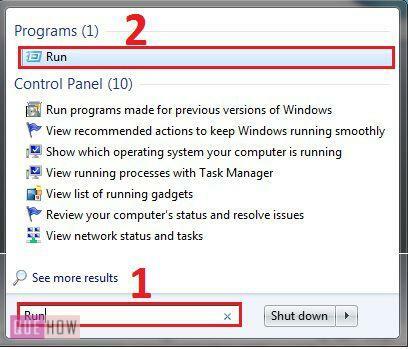 How to check which Version of Windows Operating System I have? 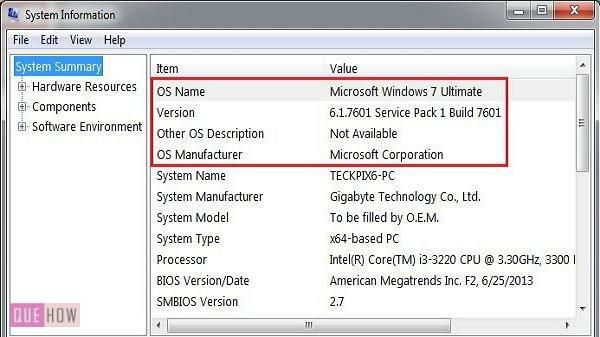 Sometimes when we try to install any software before it is installed it ask us which version of Windows operating system we are working on to confirm whether the software is compatible with that operating system or not. So, It is always good to know what operating system you are working on. Most of the times, it’s Windows XP, Windows Vista, Windows 7, or Windows10. In the article below I provided five methods to know what operation system is installed on your PC. So let us start with How to check which Version of Windows Operating System I have? A very simple way to find what operating system is installed on your computer? Just observe your computer when it starts. The first page which you observe describe the operating system installed on your computer. As it shows, the name and the logo of the operating system installed on your computer. In the image below I showed logos of Windows 7, Windows 8, Windows 10. Step 1: Click the Start button present on the left corner of your screen and go to the Control Panel. A window will get opened showing the option under Control Pannel. Now, Click on the System and Security option. 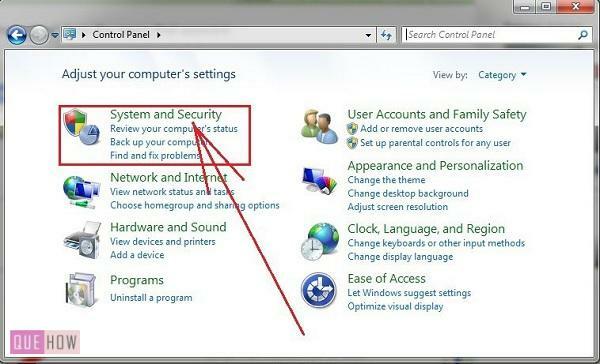 Step 2: Under System and Security you will find System option click on System. Step 3: A window will get opened showing basic information about your system.Under Windows edition, you can observe details of Operating System installed on your computer. Step 1: Click on the Start button, to view a menu showing various application. You will find Computer button on the right side of the Start menu. Right-click on the Computer. Step 2: A list of options will pop-up. Click on Properties. Step3: A window will get opened showing basic information about your computer. Under Windows edition, you will find details of the operating system installed on your PC. Step 1: Type Run in Start menu’s search box. You will find it appearing at the top of searched list. Click on Run (2). Step 2: A Run Window is opened. Type misinfo32 in the Open drop-down box. and click Ok. 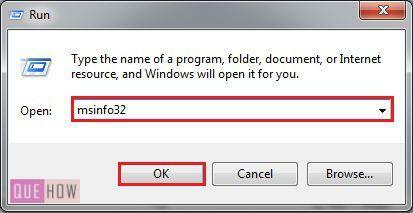 Here, misinfo32 is an executable file that is included in all the windows series. It let us enter System Information window that contains the information regarding Hardware Resources, Components and Software Environment. Step 3: A System Information window is opened. 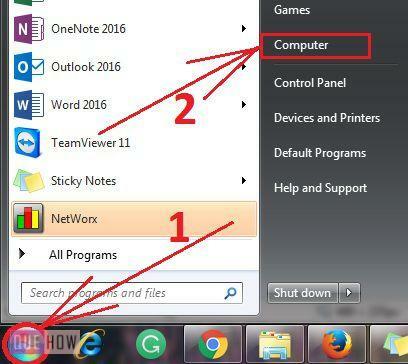 You can find the details of your operating system at the top of the window as, show in the picture below. Step 1: Type Run in Start menu’s search box or You can directly open the Run window by pressing window button + R button on the keyboard simultaneously. Type winver in the open drop-down box and enter OK. 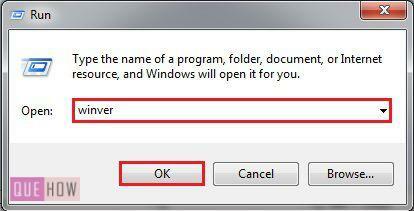 Here, winver stands for “Windows version“. It is an executable file which displays details about Version of Windows operating system. 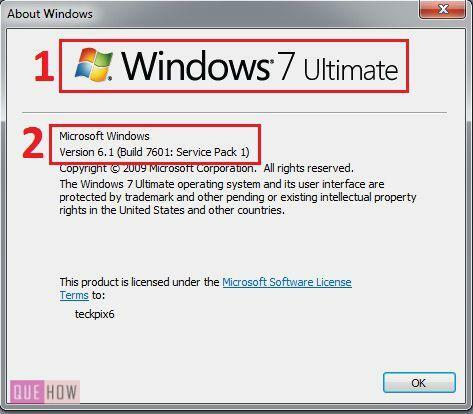 Step 2: An About Windows window will open providing you with the details of a version of Windows operating system. Hope you got the solution. Keep reading. 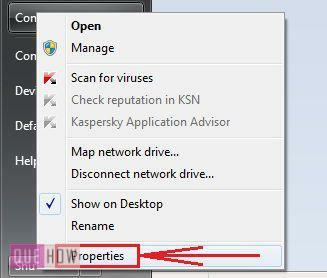 How to check my IP address in Windows 7?